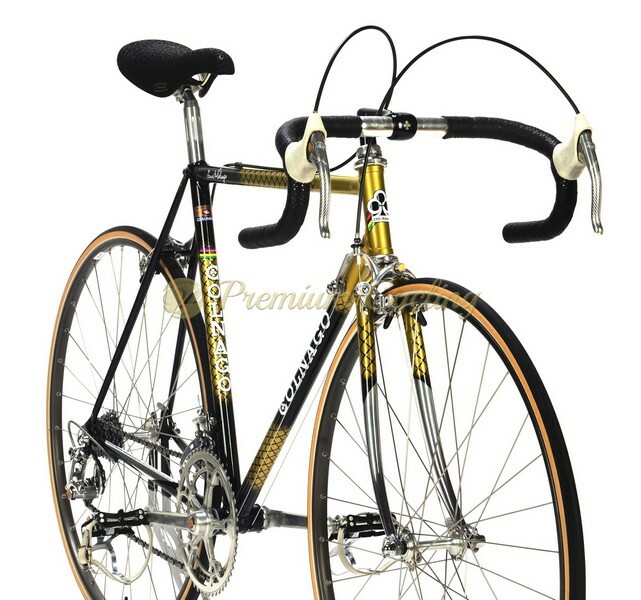 In response to criticism that Colnago frames were not stiff enough, Ernesto experimented with various crimped-tube frames. In 1982 he introduced the Super Profil which was the first frameset with crimped tubes by Colnago. The Super Profil was constructed with superb Columbus SL tubing with crimped top tube, down tube and chainstay. With special geometry the frame was stiffer which improved performance. Italian cyclist Giuseppe Saronni was one of the best riders in early 1980s, riding for Del Tongo – Colnago Team. In 1982 he won the World Championship in Gooodwood, England riding Colnago Super Profil. In 1983 Saronni won famous one day classic Milano – San Remo and Giro d’Italia and by no surprise his bike was build with Campagnolo 50th Anniversary groupset. 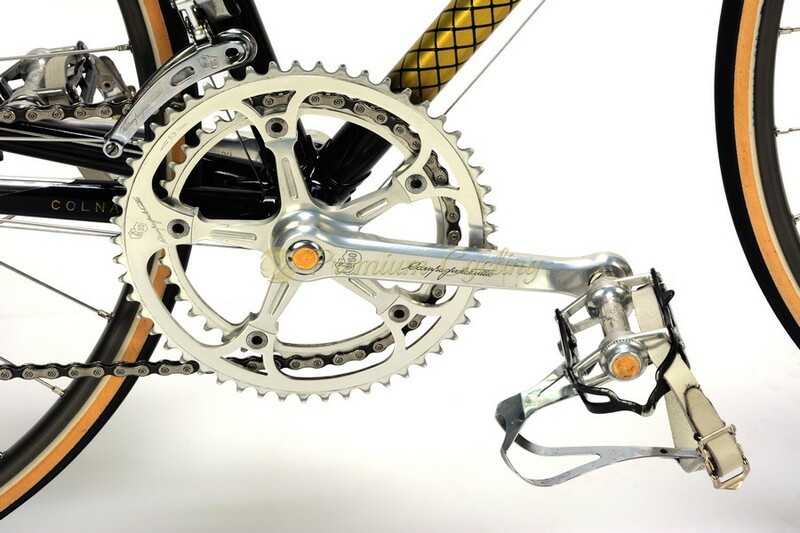 Campagnolo 50th Anniversary groupset was released in 1983 to commemorate Campagnolo’s 50th year in business, but this was also the same year when founder Tullio Campagnolo passed away. 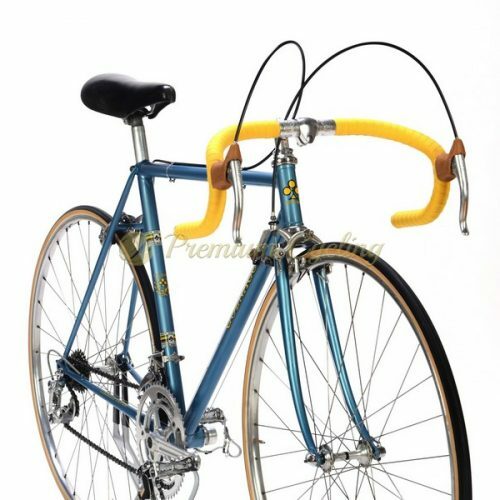 For sure most appreciated and desirable groupset amongs vintage bike collectors. Proudly presenting legendary steel racing machine from Cambiago – Colnago Super Profil which dates back to 1982, shinning in outstanding custom paintjob, built with Campagnolo 50th Anniversary groupset and 3ttt Colnago cockpit. This kind bikes just goes better with age, same as fine wine…no much words needed. A real jewel! For all Colnago enthusiasts. Great investment opportunity. Condition: Used, but excellent condition, very low mileage. The frame was completelly refubrished by professional guy who did absolutelly amazing job. The frame has no cracks, dents and is not bent. 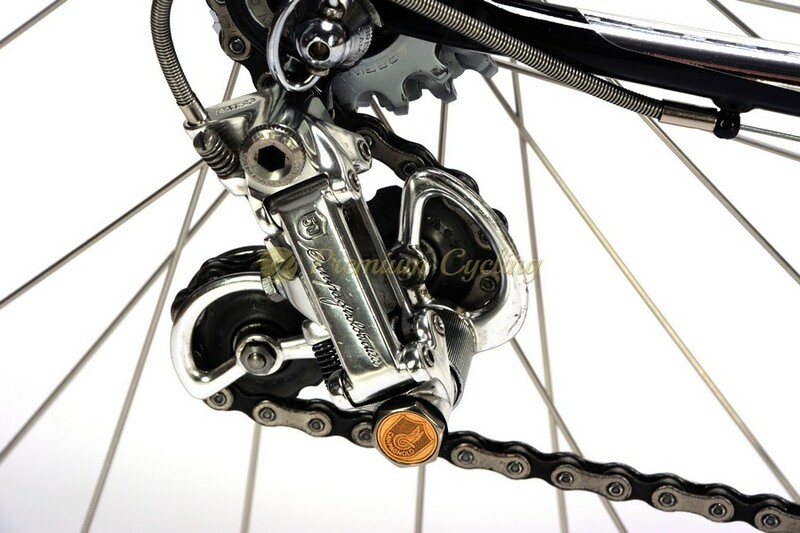 Campagnolo 50th Anniversary groupset in excellent condition. All parts are working fine. Love it; is it still there? Shipping to Switzerland; how mutch total? Thanks Guys.